Europe has no shortage of incredible cities full of historically beautiful sites, amazing architecture, and stunning nature. There tons of options for getting around the continent with their fast trains, relatively cheap flights, and even a long, but well worth it road trip. The one way that is often not considered is a boat. With a network of rivers free flowing through Europe’s main cities, it’s not hard to imagine that absolutely picturesque river cruises are quickly becoming a favorite way to travel around these gorgeous countries. While there’s many options as to where you go, should you be making your way from Budapest to Amsterdam, you may want to consider checking these places out before embarking to your next stop along the rivers. The Danube River flows right through city, literally. Cross the Chain Bridge which is the first bridge that connected Buda and Pest. For some exploring of Hungarian jewels, and some spectacular architecture, wander around the Hungary’s Parliament Building. 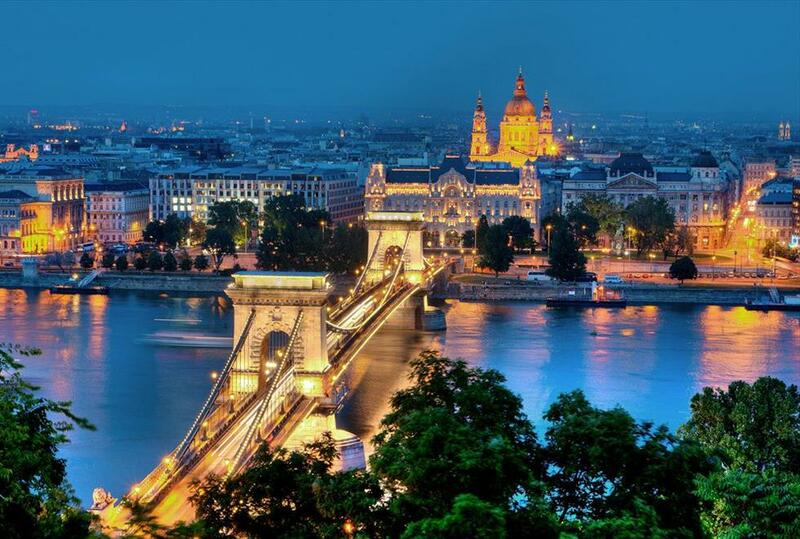 Sometimes referred to as the Paris of the East, Budapest’s Andrassy Avenue to Heros’ Square is a stroll that will make that expression ring true. For a relaxing evening, the famous Budapest’s baths are a sure way to melt into a blissful state. Austria’s cultural, political and economical center is what Vienna is. This city center itself is a UNECSO World Heritage Site and the historical importance of this capital doesn’t stop there. Another UNESO Site is the impressive Schloss Schonbrunn Palace. The Stephansdom is a beautiful cathedral to visit, and the museums are a must. The two most worthwhile museums would be Albertina and the Museum of Fine Arts. There’s a number of great festivals held in the city, so making it a point to attend any of those would be wise. Ball Season, film festivals, and the summer festivals would be incredible to catch during your stay here. Perhaps the icon of the city, the Cologne Cathedral is a site that doesn’t disappoint. Incredible is an understatement. This is the largest cathedral in the world and is over 750 years old. Just down the way is the “Padlock Bridge.” A bridge with padlocks locked tightly along the way symbolizing commitment. The key is thrown into the Rhine river. There is a plethora of opportunities to visit museums, all holding it’s own unique treasure. The shopping is excellent at many of the department stores to the boutiques, and the Kolsh is a must eat. Known for its vast canal network, it’s no surprise why river cruises make there way through this European hot spot. The bridges that are strewn about the river connecting the city add to the charming qualities of this friendly city. With museums like Van Gogh or the Rijksmuseum and historically important places like Anne Franks house, you will certainly learn and appreciate your time here much more. For those night owls who want to roam the streets and wander to the Red Light District, have your fun, or maybe take a quick stroll just for the experience.